preserved lemon | Life's Conundrum - Eat to Live or Live to Eat? Samo is a type of wild grass originating from tropical Asia. In India seeds of this grass are consumed during festival fasting days. In Gujarati it is also called “Moriyo”, in Marathi it is called ‘bhagar’ or “Vari cha Tandul” and the English equivalent is “sawa millet”. We bought some samo semolina at an Asian grocer a few days back and made a gluten free upma using it. 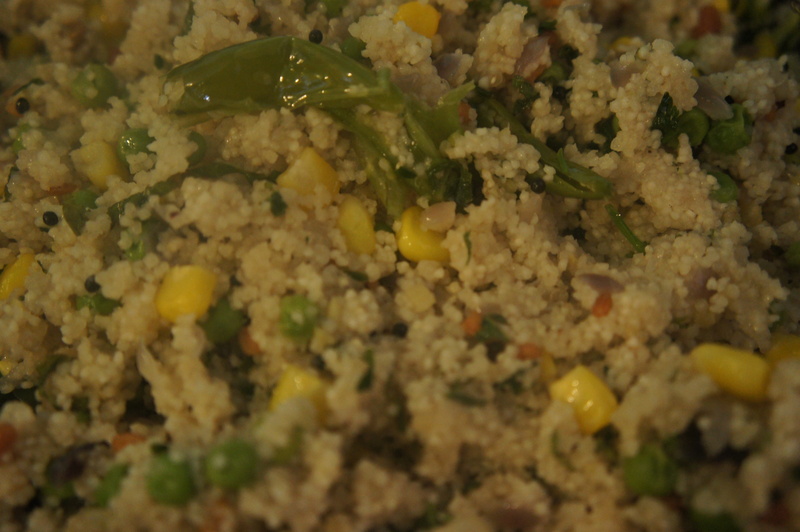 Texture wise it it very close to wheat semolina upma and taste is not too dissimilar either. We think this seed could be a very good gluten free substitute for semolina based dishes. Heat ghee in a wok before adding mustard seeds. 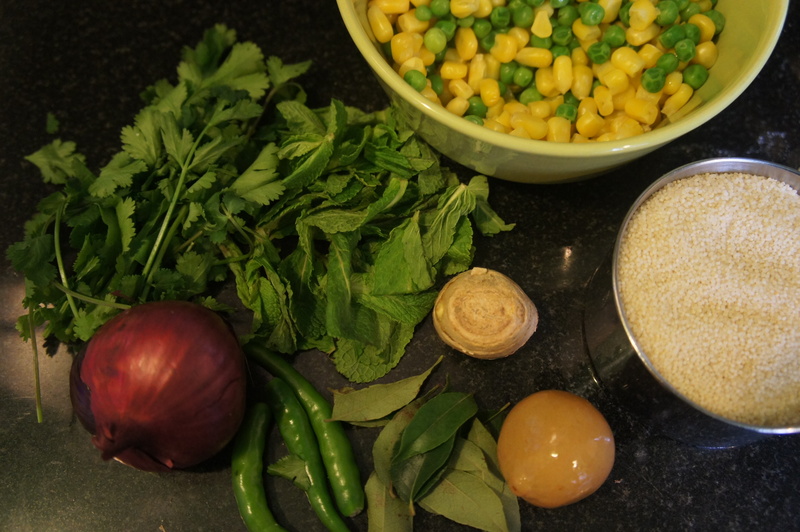 Once they start spluttering, add the urad and channa dahl and fry till they start turning golden brown. Add the ginger, green chillies, curry leaves and asafoetida – stir for 30 seconds before adding the onions. Cook on medium heat till the onions begin to change colour. 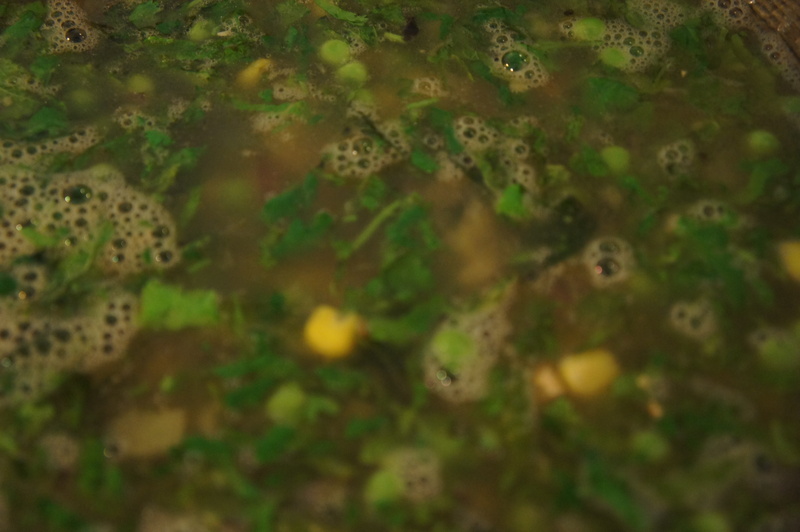 Add the vegetables, preserved lemon, chopped herbs and season to taste. Pour in 2 cups of hot water from the kettle and bring to a boil. Then add the samo semolina and keep stirring to ensure it doesn’t stick to the sides. Continue cooking for 10 minutes or till all the water is absorbed. Serve hot.